Hi guys! 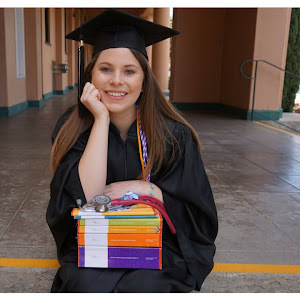 My goal with this blog is not only to document my journey, but to provide resources for other student nurses. 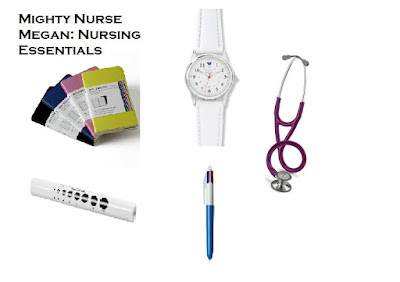 With that being said I thought it would be fun to share with you what I think are nursing essentials to have. Everyone has their own preferences, but these are what I think are important. Stethoscope: This is critical for assessing a patient. You really do not want a cheap $25 one because you won't be able to hear a thing. Do yourself a favor and invest in a good one. It is something you will use your whole career. I recommend either a Littmann Lightweight or Littmann Cardiology III. 4 color ball point pen: As a nursing student you will be constantly writing down vitals or taking notes, so having a good pen is important. I like this one because it really allows me to organize my notes. I use the black color when writing down information from my assessment. The other colors are used for making information stand out. I will show you how I use it on my brain sheet on another post. 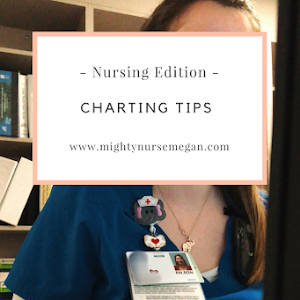 Nursing watch: Having a comfortable watch is key. 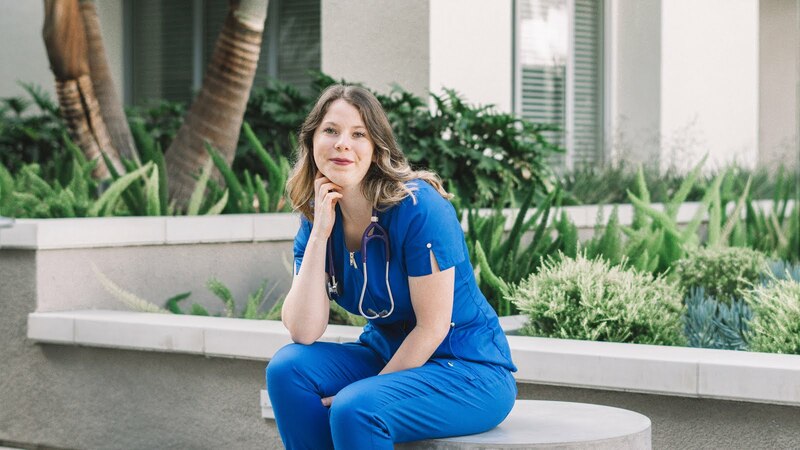 You will use your watch not only to check the time (crucial for med admin), but can also be used in assessments when counting your patient's respirations or pulse. The watch I use has military time on it so it is easy to become accustomed to for documentation. Penlight: This is great for checking pupils! It also has a pupil gauge. Your patient can even follow it when performing cardinal gazes during your neuro assessment. I use mine during every assessment. Small notebook/brain sheet: Important for writing down vitals, key medical history, labs, etc. I am not going to go into too much detail here because I am going to do a post on it later. 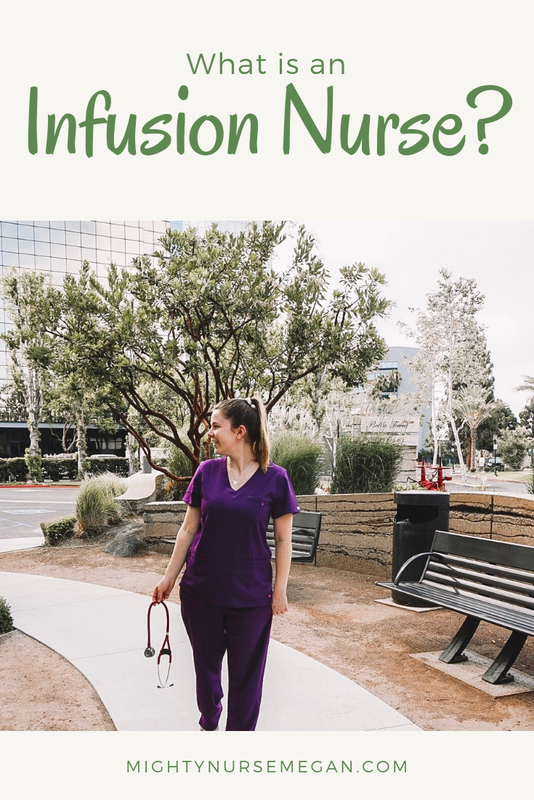 Leave a comment down below what you think are nursing essentials. 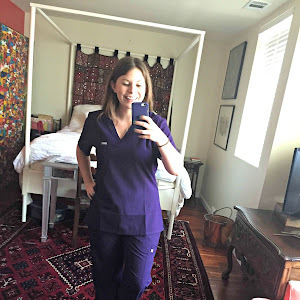 What kind of scrubs do you wear? What about shoes? Currently right now I am still wearing my school scrubs and white Nike shoes. As I transition this year into "real" scrubs and look for better shoes I will post on the blog what I get. So stay tuned!